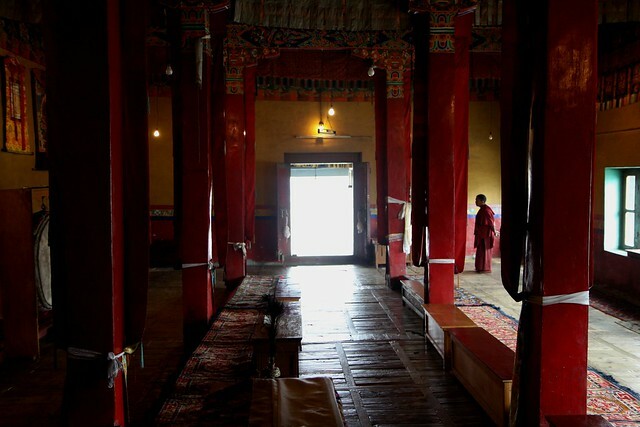 Diskit Monastery, the largest and the oldest surviving monastery in Nubra Valley, was founded by Changzem Tserab Zangpo, a disciple of Tsong-kha-pa. 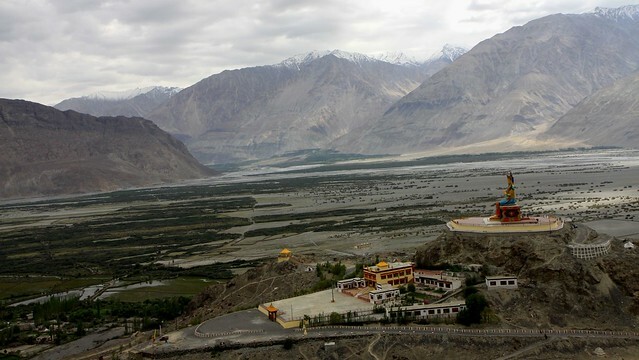 The Gompa stands atop a hill right above the flood plains of the Shayok River. 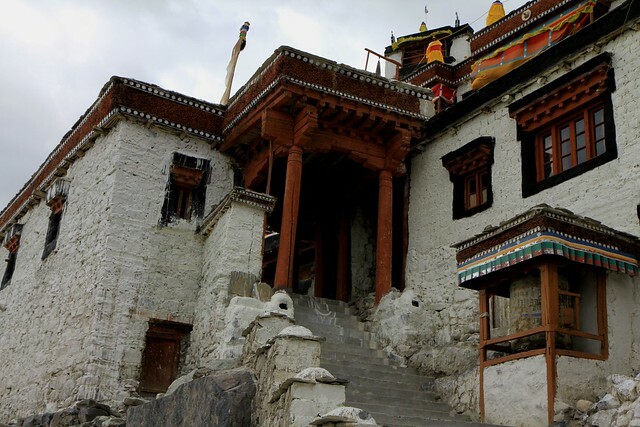 The Diskit Gompa is affliated to the Thiksey Monastery near Shey. 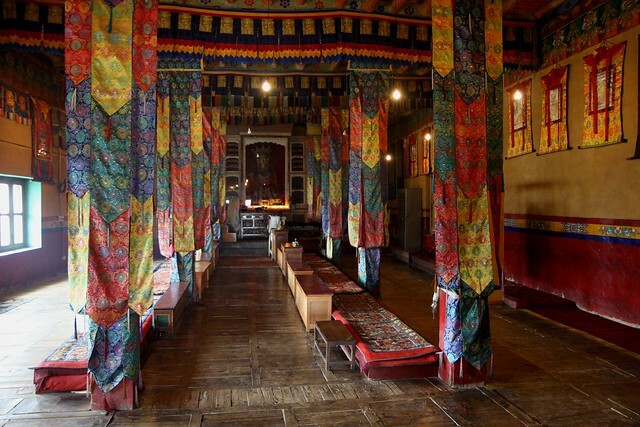 The monastery, with the support of ‘Tibet Support Group’, runs a school for the Tibetan children in the region. The 100 foot high Maitreya statue was scheduled to be inaugurated by his holiness Dalai Lama a couple of days after our visit. 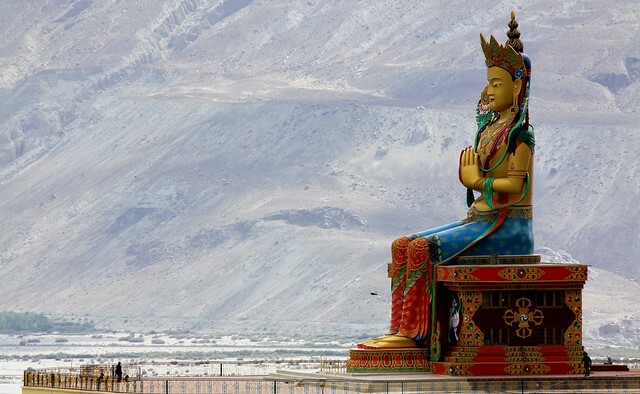 The statue faces the Shyok River towards Pakistan. 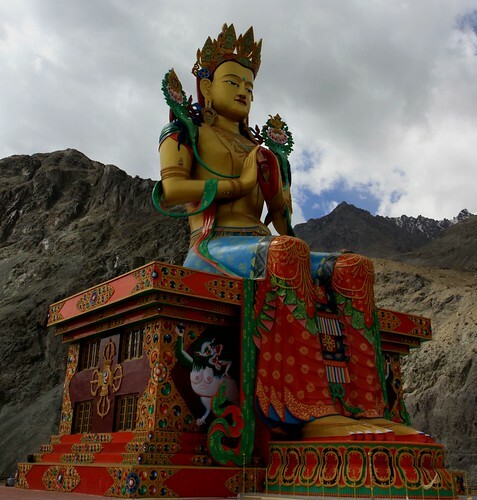 The statue has been built using funds raised by the Buddhist Association and Ladakh’s Tourist Office.